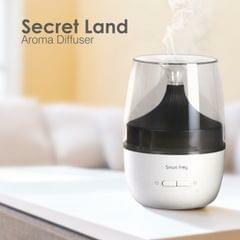 The Secret land Aroma Diffuser is the perfect addition to your home, office, restaurant, spa etc. With a patented technology and design, Secret Land adds the touch of class you are looking for in your home and office. 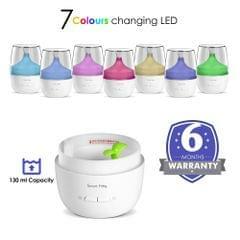 It acts as an Aroma diffuser, Humidifier (When no essential oil is added) and as a night-light with its amazing color changing mood lighting. 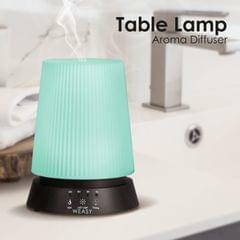 Just add a few drops of your favorite essential oil with water and connect the aroma diffuser to a USB port and enjoy your favorite fragrance. 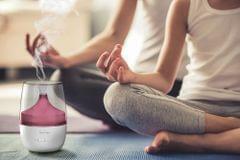 The aroma diffuser is 100 percent fire safe as no candle or fire is involved as compared to traditional aroma diffusers. Do not pour water from the top hole. 2. 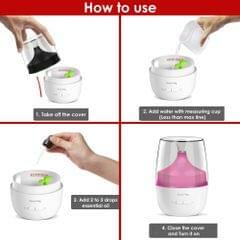 Regularly clean the product as shown in the instruction manual. 3. 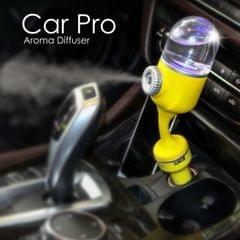 Fill water to maximum level only and use essential oil as per manual. 4. If no mist is coming out refer to the manual for troubleshooting. 5. Do not use any corrosive liquids. 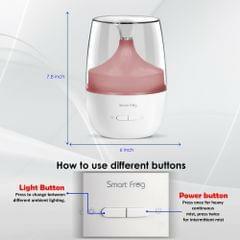 •	Smart Frog Secret Land Aroma Diffuser and Humidifier comes with the dual function of an ultrasonic diffuser and humidifier. 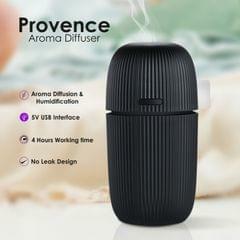 Powered via USB port, the product can be plugged easily into any wall socket, power bank etc. 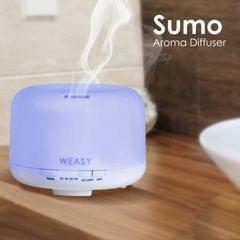 Just add water and a few drops of your favorite essential oil and enjoy the fragrance anytime anywhere.